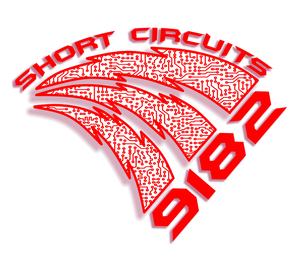 We are FTC Robotics Team 9182, the Short Circuits. This is our fifth year as a team. We have competed in ten tournaments and one league. This year we have ten people: seven seniors, one junior, a freshman, and an eighth grader. We look forward to another amazing season this year! Our team has competed since 2013 cascade effect up through the current year, 2018, as a part of FTC ROVER RUCKUS. We are part of the Eastview Robotics program. Our team number is 9182, and our name is the Short Circuits. Our team mission is to promote STEM learning and FIRST in our school and community through multiple outreach events, including library visits, STEM fairs, robotics demonstrations, and fundraising events at local organizations. ​We want to spread the idea of gracious professionalism beyond FIRST. This is my fourth year as a member of 9182. I was selected as the team’s captain after having been engineering lead during my three previous years. I start each meeting by reviewing the team’s goals from last meeting and setting goals for the current meeting. Learning CAD over the past few months has allowed me to be more thorough with my designs before I present them to the team. This year is very promising with a good sized team, several members using CAD, and dedicated engineering, business, and programming members. I am a senior this year and this is my fourth year in FTC. Throughout my year in FTC I have been apart of many projects and subsections. I began as an Engineer and I worked with the manipulators and drive train, eventually I began CAD and I was CAD lead for some time. This year I decided to tackle the task of become a software person along with Sam. I enjoy robotics because it gives us the opportunity to delve into the world/profession of an engineer, giving us the tools and the support to learn. Hello my name is Jacob. This is my fourth year in FTC on Team 9182. I primarily focus on working on the business team as business captain. This means that I work to keep the engineering team on task and the engineering notebook up to date. What I most enjoy about robotics is the fact that I can spend time with my friends as well as learn useful skills for later on in my life and career. Hi my name is Carson. This is my fourth year in FTC Robotics. I am mainly focusing on doing CAD and research. If that job is all done for the most part, then I will just assist on engineering. In my free time I usually like playing video games or hanging out with friends, but with senior year, my AP classes, and my job I don’t get a lot of free time. I am excited to end this year of robotics with a bang and all of my great friends. Aloha my name is Justin. This is my second year in robotics and I am a senior this year. I mostly work on building the robot but when we aren't building I work on 3D printing so that we can have more complex parts to our robot if needed. I spend a lot of time with school, football, and robotics and can’t wait for what's to come this year. I am a junior and this is my second year in robotics and on Team 9182. I work on engineering and the engineering notebook when there isn’t any building for me to work on at the moment. My favorite part about robotics is building the robot because I like doing the engineering and putting stuff together from our designs. My name is John, I am a freshman and this is my second year in FTC robotics, and on Team 9182. My primary focuses are engineering and CAD. I like doing engineering and CAD because they are the most enjoyable parts of robotics for me. I am very excited for this year’s game because it sounds very interesting, with lots of different opportunities for points. I'm Aidan and this is my first year of robotics, but I'm in 8th grade. I decided to join because robotics always seemed like something I would enjoy. My cousins were/are in robotics and I heard good things about it. I was also given an easy way in because my sister was already on the team. My primary focus is business and working on the engineering notebook. I enjoy it because I have a positive experience working with others on something stimulating that I like. Hi, name is Sam. I am a senior and this is my second year in robotics. I enjoy designing the robot as well as programming. I am one of our two programmers, along with Mohamed. I’ve always liked robots and its really cool to have a better understanding of coding, though still very basic. In my free time I like to hang out with friends and do things like play video games and sports. I’m excited for this year of robotics because we have a large, well-organized team with a lot of friends on it, and it should be a great last year. Hi My name is also Sam, This is my first year in robotics and I am a senior. The things that I focus on, and work on are robot design inside of a program and on the robot in real life. I love engineering and putting my mind to the test, I really look forward to competing this year as well. I'm also on the varsity soccer team, and work outside of school. My day job is Software Development Manager. I’ve been in the IT business for the past 18 years. Prior to that I worked at the University of Minnesota as a Research Associate of Elementary Particle Physics. This is my third year mentoring the team. What I like best about mentoring a robotics team is to watch the team members grow each year and learn new things as well as taking on more responsibilities. The joy at tournaments when we have successes, and the gracefulness in defeat. With many of them being seniors this year, an important part of this year will be knowledge sharing and making sure the younger members take in as much as they can to retain the expertise for next year. We do have a new programming team this year so we have some additional challenges to overcome. I have full confidence in the students to embrace this and have a very successful year this year. Our logo represents who we are and we proudly wear it at events and tournaments. While designing it, we incorporated the logo of our school while also making it our own. We added our team name and number to distinguish us at the tournaments and put our design into the lightning bolts to make it unique.